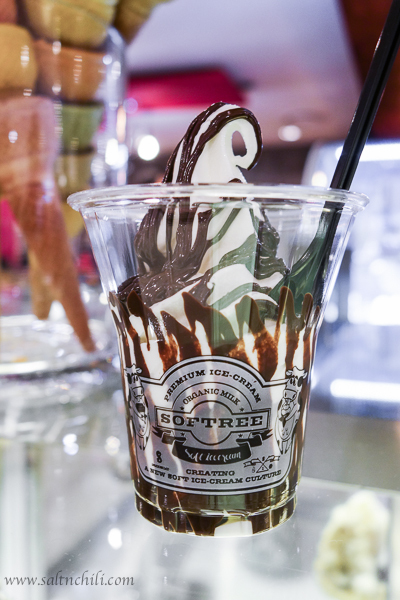 The trend of soft serve ice cream with fresh honeycomb started with the first Softree shop in Garosugil. Serving rich and creamy organic vanilla ice cream with “honey chips” Softree has expanded to multiple locations in Seoul and to other cities such as Taipei and our very own Hong Kong. 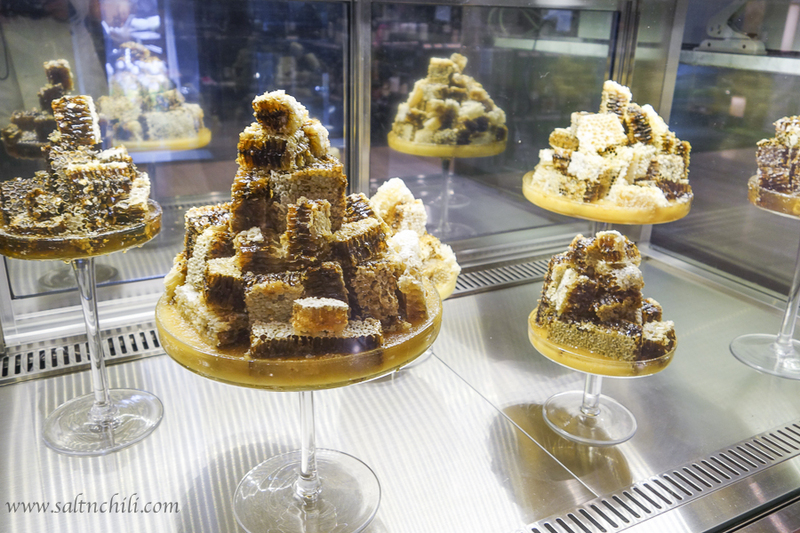 I couldn’t help myself from dragging hubby to a Softree in Seoul to experience the origins of this honeycomb treat. 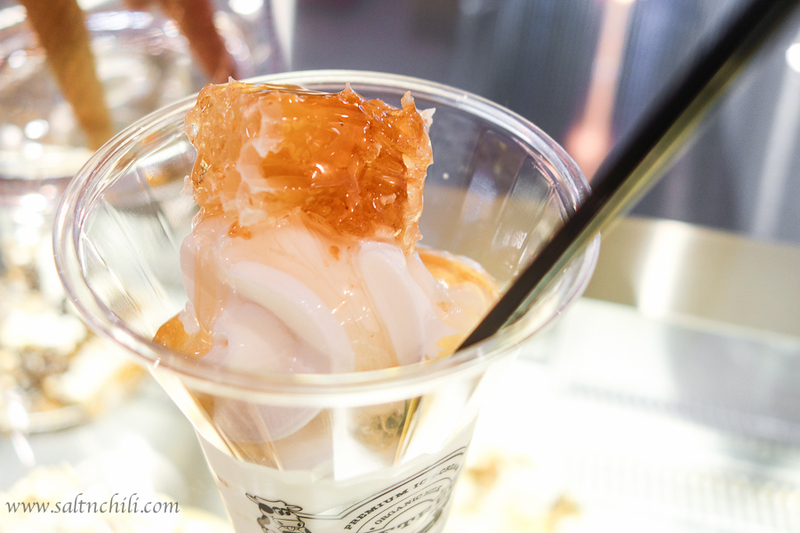 If you’re shopping at the Myeongdong Lotte Duty Free for some History of Whoo or Sulwhasoo skincare you could head down to the basement of the Lotte Department Store for this delicious ice cream treat. If you walk by any fruit stall in Seoul during the Winter and Spring season, you would come across the Hallabong fruit. 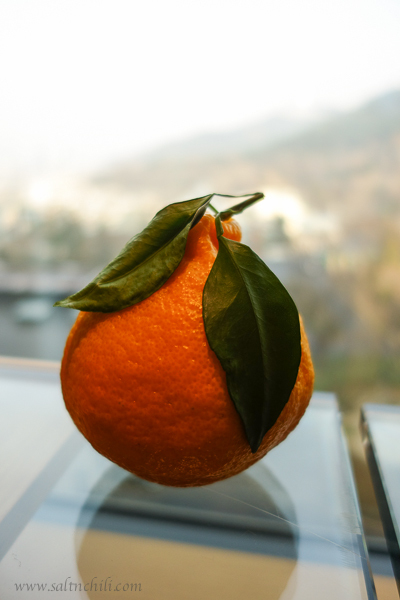 This type of tangerine resembles a large orange with a characteristic bump at the top. Everywhere I’ve seen them, they were almost always sold in a gift box of 6-8 with prices running up to ₩50,000 (360 HKD). I was lucky to find them sold individually in the supermarket of Lotte Department Store and bought one to try. They tasted like your everyday tangerines with a subtle sweetness and a hint of grapefruit. My verdict…not worth the expensive price tag. 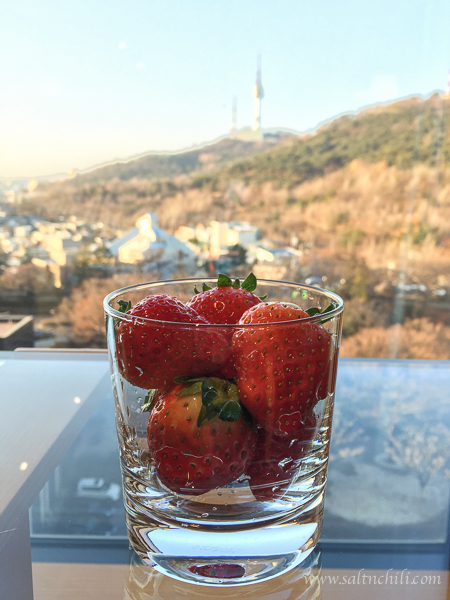 Just like the Hallabong, you can find Korean Strawberries everywhere in Seoul, even in the Winter season. These perfectly shaped and vibrant strawberries are sweet and I personally prefer them over the Japanese ones (and they are also more affordable). If you get tired from all the Seoul shopping, you can count on finding a coffee shop nearby to sip some hot coffee and rest your legs. 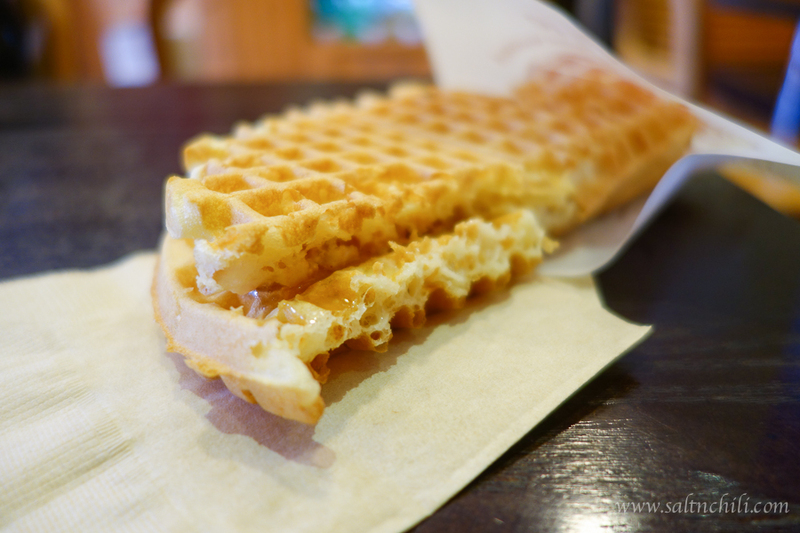 In one of the coffee shops we hung out at, in the Bukchon Hanok Village, they served some freshly made waffle sandwiches with jam and honey. Yummy, eh? This takes me to the end of the Seoul Eats series. Tell me what you think of my first Travel series on this blog. Missed Part 3 of Seoul Eats? Check it out here.